Another nails post, I know, I know, I can’t help myself! I love painting my nails, after all the miserable weather we’ve been having it really cheers me up, and after all the stress of wedding planning it’s a good excuse to sit down and relax! As you can probably tell I like to mix up the colours on my nails – why use one polish when you can use all the colours of the rainbow!? Well, maybe just three today, I think they go really well together! I thought I’d have a day off from nail art and glitter, what do you think? I’ve used the lovely deep blue Color Club polish in ‘Insta-This’ from my French beauty box swap, Barry M ‘Cyan Blue’ and Topshop ‘Big Smoke’. 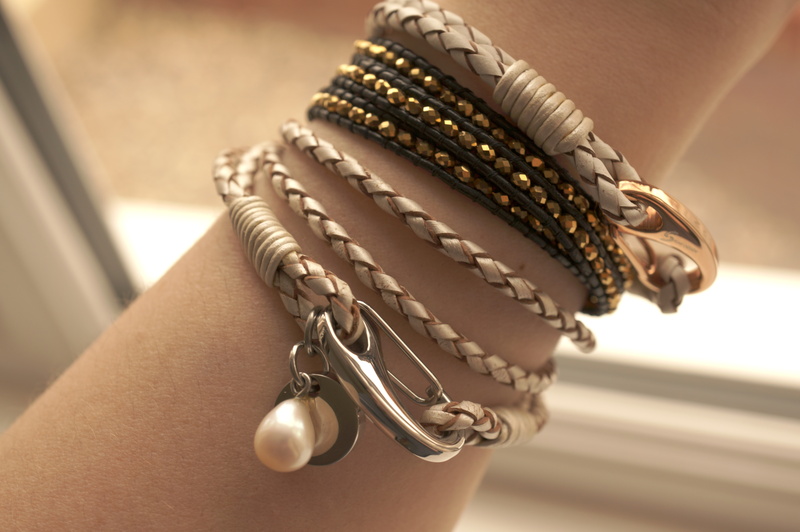 And for the lovely Suay Design bracelets – I’m wearing Metallic Pearl Leather Double Wraparound Bracelet with Charms Bracelet, Orlando white Leather Bracelet and Yukata Gold Leather Bracelet. 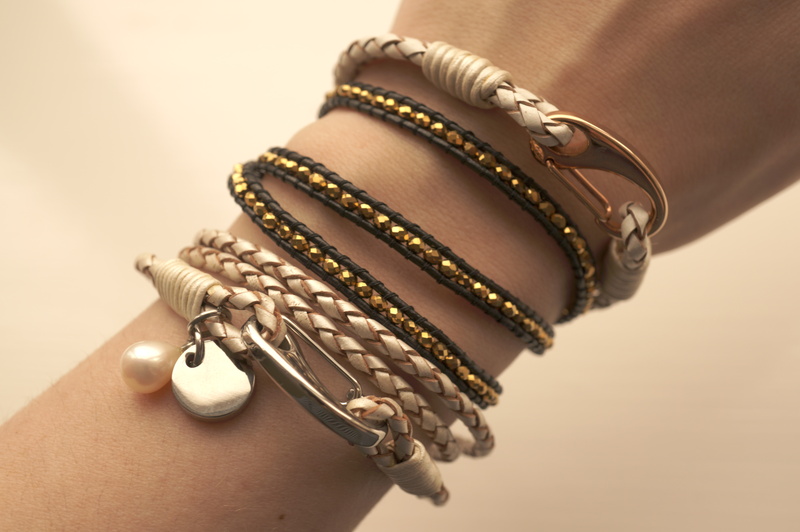 These bracelets come in beautiful black velvet pouches, and would make fabulous gifts! 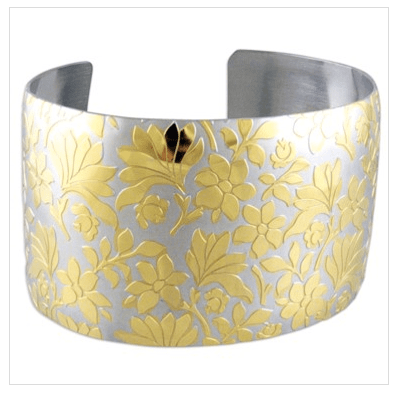 I’m collaborating with the lovely people at Suay Design to give away a stunning 14k gold plated floral cuff worth £52.95! Woohoo! All you have to do is enter the worldwide Rafflecopter giveaway below! Good luck!! Previous Post House of Halos Couture Accessories and My Wedding News!